The state of Maryland in the US passed the Clean Energy Jobs Act (CEJA) of 2019. This Act aims to incentivize the creation of 1.2 GW of additional offshore wind energy off the coast of Maryland. New York, Massachusetts and New Jersey have taken similar measures as well. US Wind Country Manager Salvo Vitale called for the passage of the legislation, claiming that it will lead to important economic benefits by giving incentives for the development of 1,200 MegaWatts of extra offshore wind energy off Maryland. Mr. Vitale explained that the benefits could generate 5,000-7,000 direct jobs, $18 million for the Offshore Wind Business Development Fund, $5 billion in new capital expenditures, as well as reduction of more of carbon emissions. The states of New York, Massachusetts and New Jersey, have taken similar measures, giving incentives for about 20 gigawatts of offshore wind energy development. These developments increased the supply chain companies of all sizes seeking to find new facilities along the East Coast, so as to meet the rising demands of the energy sector. Before this Act, in 2013 Maryland has introduced the Maryland Offshore Wind Energy Act of 2013. Under this, US Wind secured the federal lease to establish about,000 Megawatts of offshore wind energy through a competitive bid process. 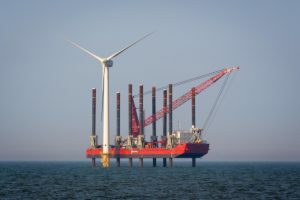 Some years later, in 2017, US Wind's project received offshore renewable energy credits (ORECs) for an initial phase, consisting of the placement of around 32 wind turbines off Maryland. The project is called 'MarWin', and will generate 270 Megawatt (MW) of energy. During the Operation and Maintenance phase, which is expected to last 20 to 25 years, the project will lead to almost $850 million of economic impact, and will create 4,116 full-time equivalent (FTE) jobs.